Dr. White has over thirty years of experience and work in the diabetes arena. He has published two books, including the American Diabetes Association book titled “Medications for the Treatment of Diabetes”, 29 book chapters and over 150 manuscripts on the topic of diabetes. His manuscripts have been published in the Journal of the American Medical Association, Diabetes Care, Clinical Diabetes, Diabetes Spectrum, Endocrine Clinics of North America, Annals of Pharmacotherapy, Journal of Managed Care Pharmacy, Postgraduate Medicine, and numerous others. He has received over 25 diabetes related research grants and contracts. White has given over 330 lectures on the topic of diabetes. These lectures included presentations to the American Society of Health Care Systems Pharmacists, the American Diabetes Association, the American Society of Consultant Pharmacists, the American College of Apothecaries, the American Society of Nephrology, the International Diabetes Federation, the American Association of Diabetes Educators, the American College of Clinical Pharmacy, the Japanese Diabetes Association, the American Academy of Physician’s Assistants, and multiple state and regional medical, nursing, and pharmacy associations. 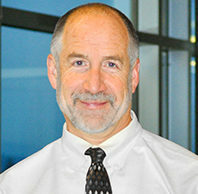 White has received numerous awards including Teacher of the Year at Washington State University College of Pharmacy seven times. He is a member of Rho Chi, Phi Lambda Sigma and Phi Delta Chi. In addition to being a member, he is also the faculty advisor for Phi Lambda Sigma and Phi Delta Chi. White was awarded a bachelor’s degree with a major in zoology from the University of Tennessee in 1980. He next earned a doctor of pharmacy at Mercer University in Atlanta, Georgia, in 1986. He completed a general clinical residency in 1987, and then went on to complete a pharmacodynamic/pharmacokinetic fellowship in 1989 at the University of California, San Francisco. Since that time he has been affiliated with Washington State University where he serves as a professor for the department of pharmacotherapy. In 1998, White completed physician assistant training at the University of Washington College of Medicine. He served as a diabetes consultant and primary care provider at the Indian Health Service Clinic in Wellpinit, Washington, for several years.